Borussia Dortmund and USMNT star Christian Pulisic says playing regular Bundesliga football has made the world of difference to his development. Add Christian Pulisic to your Official Fantasy Bundesliga ranks now! The 18-year-old midfielder has made 17 Bundesliga appearances - including eight this season - since being handed his professional debut by Dortmund head coach Thomas Tuchel in January 2016, and is now pushing for a starting berth in the USMNT's crunch FIFA World Cup qualifier with Mexico on 11 November. 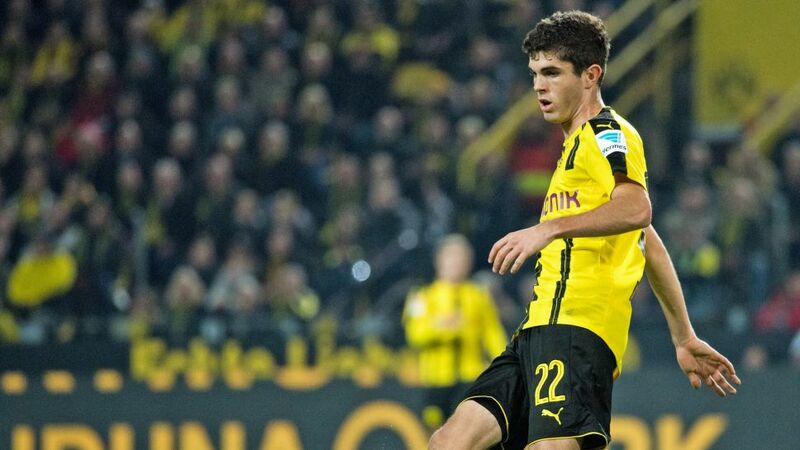 "The Bundesliga is a very strong league," Pulisic said in an interview with Colin Cowherd for FoxSports Radio. "Every weekend you're playing a great game, whether it's a team in second place or a team in last place. You know you're going to have a fight out there. I've learned so much." Playing alongside the likes of Pierre-Emerick Aubameyang and Marco Reus, Pulisic has already left an indelible mark at home and abroad. He is the fourth youngest goalscorer in Bundesliga history, the youngest player to reach two career Bundesliga goals, the youngest USMNT goalscorer and the youngest USMNT player to appear and score in a World Cup qualifier. Pulisic will look to put his invaluable experience at club level to good use and channel his inner Luis Figo - the Hershey native's childhood hero - on the international stage when the USA host neighbours Mexico in Columbus. The top three teams in CONCACAF Round 5 will progress to the 2018 World Cup finals in Russia, while the fourth-placed nation will contest the inter-confederation play-offs. "This is as big as it gets for a soccer player, for a soccer team," Pulisic said of his country's upcoming assignment. "USA-Mexico, in Columbus, World Cup qualifying, it just doesn't get any bigger. It's a huge rivalry, so we're super excited for this game."